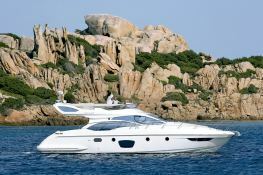 Positioned in the medium-sized range of yachts, the Azimut 47 features modern lines and well decorated interior. The cabins are unusually bright thanks to the unusual shape of the portholes. This nice modern motor yacht was launched in 2010. 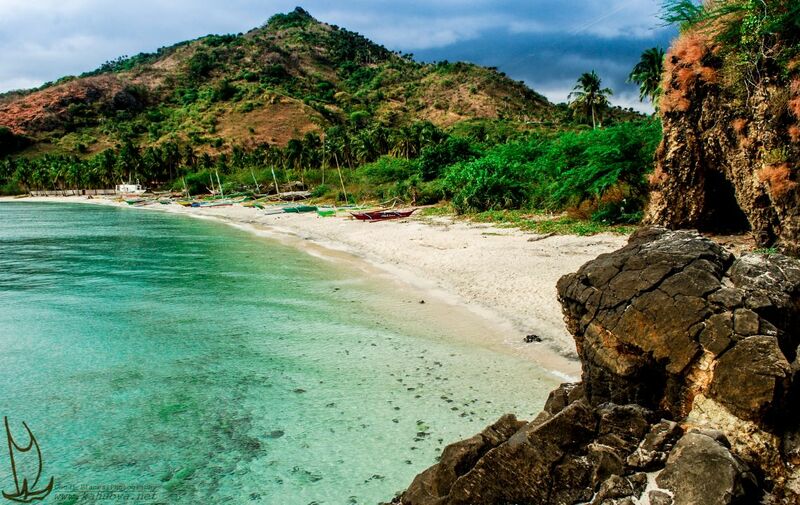 It can sail to Victoria Harb,Sai Kung and Lamma Island in Hongkong and can provide day charter. This Azimut 47 was built in 2010 by Azimut Yachts. With its 2 crew members, she welcomes up to 6 passengers on board to explore Hong Kong. 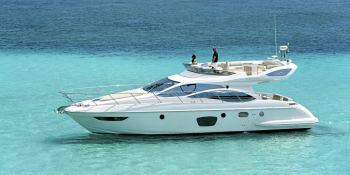 This Azimut 47 can reach a cruising speed of 31 knots thanks to its 2 powerful 575 hp engines. This 47 yacht available for charter in Hong Kong is fully equipped with air conditioning, generator and also CD for leisure. 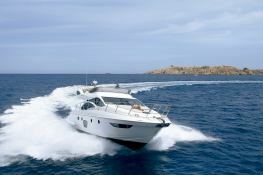 This motoryacht is available for yacht charter with a base price of 28 000 € (approximatly 31 577 $).